Here’s my “Freaky Friday Fashion” pic for the week, “Tooth Ache”! 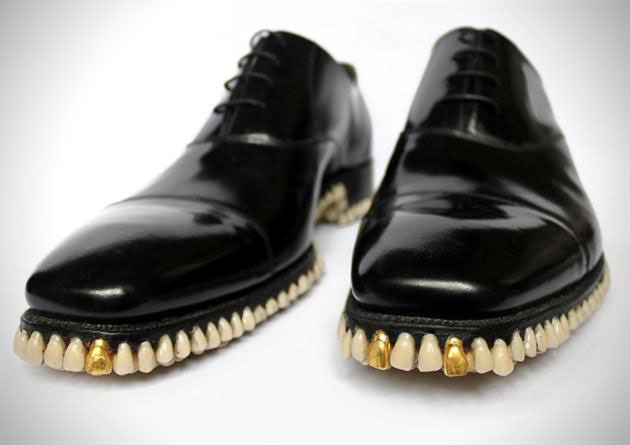 These shoes are embellished with actual human teeth by a husband and wife artist team known as Fantich & Young. 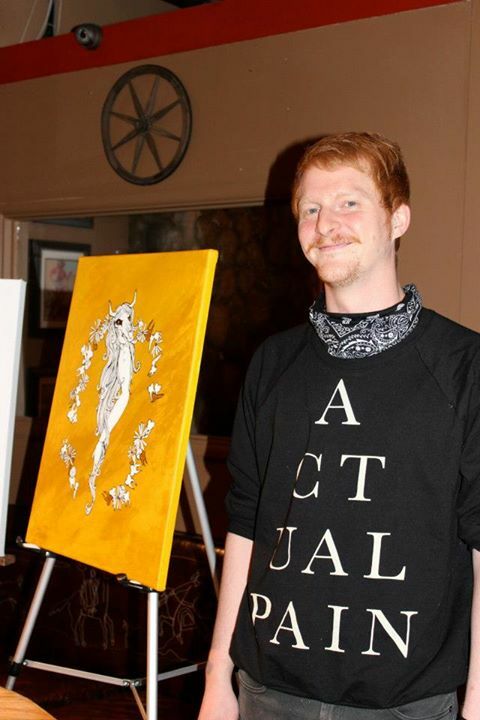 The couple is based out of England and use human remains to create wearable art. 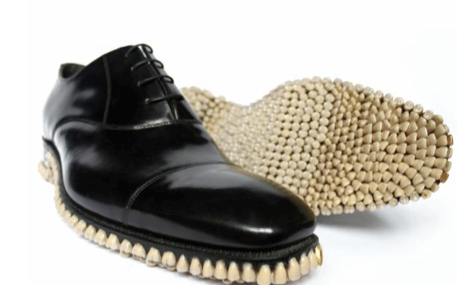 They also made a suit from human hair (throws up a little in mouth) but are gaining notoriety with their shoes they call “Apex Predator Shoes”. 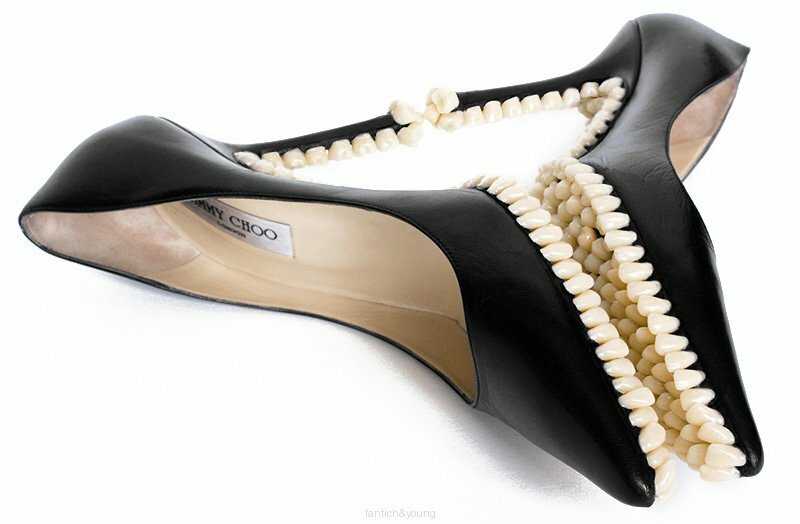 I honestly have been seeing a lot of focus on dental-inspired items in the fashion world. As a matter of fact, I brought in some FAKE, gold tooth, rings and earrings to the store (Roadkill Ranch & Boutique) and they were a hit. And, recently, I was compelled to buy a vintage Ronald McDonald head at a flea market. 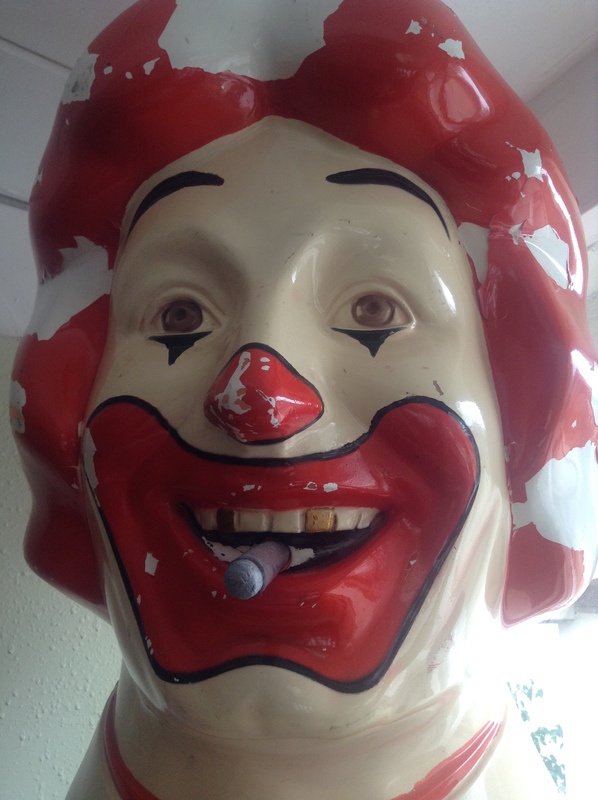 Not because I like McDonalds, but because he had gold teeth (and a real-looking cigar). I happily brought him home and he sits proudly in my kitchen. Keep your eyes peeled for teeth-inspired items and have fun with it. I’m just curious where Fantich & Young got all of their HUMAN supplies? They must know a guy who knows a guy who knows another guy.